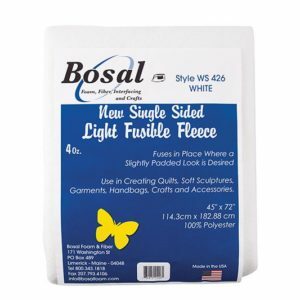 Fusible wadding is a great time saver for quilts, wall hanings and bags. When making bags, in particular, we recommend using fusible wadding. It adds stability to the bag structure, and helps keep the layers together in use. Use single sided fusible wadding if you prefer a separate bag lining, and double sided fusible wadding if you prefer to quilt through all three layers.